Origami64 › Social Forums › General Discussion › Possible near-final SM64 prototype? I have excellent news and I have terrible news. Excellent news--I may have a Super Mario 64 prototype on my hands, with a small handful of features unimplemented. The one feature I remember not being implemented is hat damage--normally when Mario lost his hat, he would take more damage. But in my version he takes the same damage as always. I'll post more news when I can. What labels are on your cartridge? Looking at the cartridge...it's slightly different. Nothing on the back like yours AFAIK. But the back does say something special IMO:the copyright is 1996, 1997, but the circle with the M in it is 1995. EDIT:Also the cartridge is NOT mint-condition. It's been there since my brother had gotten it back in the 90s(? )...there are alot of scratches. The box is unfortunately lost to time. Might not be a prototype. Working on getting this dumped, gonna take a long time. It's all gonna be worth it*! Not a proto at all. If it was a proto, it would be the size of two cartridges, not one. Secondly, proto's do not have any stickers or labels of it at all except for the games title but no artwork. 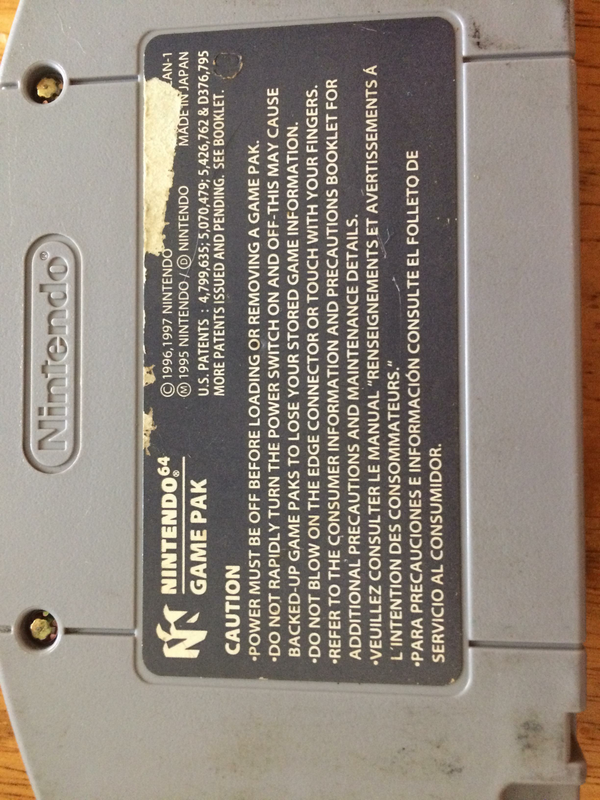 Not even the back on the cartridge where it displays the warnings (In the picture you showed). Don't bother ripping it. Video and more picture proof, or it never happened.